Manufacturer of a wide range of products which include pressure pump, hydropneumatic pressure pump, crompton pressure pump, bathroom pressure pump and lubi pressure pump. 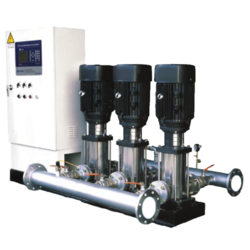 Pioneers in the industry, we offer Pressure Pumps such as Water Pressure Booster Pump, High Pressure Pump and CRI Vertical Multistage Pumps from India. DQ Constant Pressure Water- Supplying System(Pressure-controlling Style) Applications The product roc he used for stable water supply or boosting in norma/ families, high buildings, villas, hotels, etc. It can also be gird for machine application and water supply for industry. 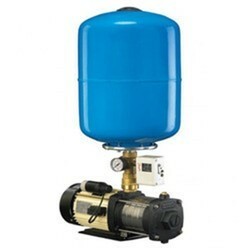 They are manufactured using latest technologies and methods and are widely demanded these days. They are made available to our clients at very reasonable rates and within the specified time frame. The pressure booster system is a life-style product best suited for water supply for shower panels, garden, sprinklers and multi-storied bungalows. It is perfect for use in homes, clubs, hotels, hospitals etc. Very aptly named 'Shower Joy pressure booster system' this product gives the user the pleasure of sharp, tingling jets of water while using the shower panel. 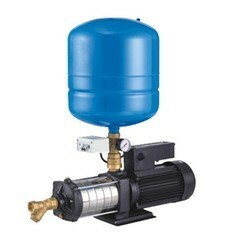 Makes gardening very convenient as it is able to supply high pressure needed for sprinkler system. Also very useful for water supply connection to multiply bathrooms such as in hotels, bungalows where water supply is needed at a constant pressure.